My inner Aries, God of War, already feeling greatly encouraged with an ax in my hand, swinging at the logs, building camp fires, and living a rugged simple life, smiling to be referred to in this way, empowered by a culture of strength. Though, one day, an elder revealed “The Warrior” in Lakota culture is not so much a person who goes out onto the battlefield, ensnared by a cycle of bloodshed, but instead is a person who is heavy with heart, feeling all things, and following the flow of life through their veins, protecting those around them, recognizing the sacredness of life and how the heart’s ability to love is the only way to restore balance, when darkness has overtaken the light. It is this second definition of Warrior that I felt the strongest while camped out with fellow Water Protectors in North Dakota, defending the Sacred Waters of over 32 million people downstream, living off the land in a community strengthened by Love. There are plenty of days where the weight of my heart caused tears in my eyes. I would weep by the river I stood near to defend. Other days, I was overwhelmed by so much hope and love, my whole body glowed from the embrace of this inner warmth. Inside myself, I felt a peace of action. Doing right by my being. I met some of the bravest, most creative, inspiring, strong people during my time at Standing Rock. They came from all generations and backgrounds. Something pulled at their hearts and brought them there. Some traveling thousands of miles and across vast landscapes and even oceans. Over 500 flags from over 500 indigenous nations displayed in the wind, proudly. 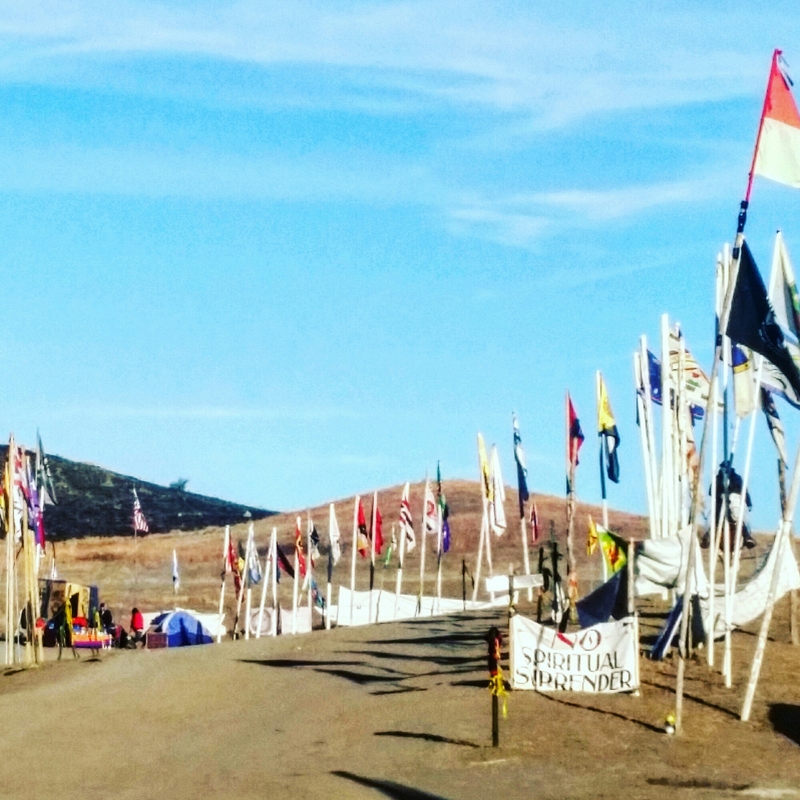 These Water Protectors each from a long line of warriors, using their hearts to defend the sacredness of life. It will spread to each of our communities. Everywhere it spreads, be sure there will be Warriors there to carry Love in their Hearts. Enough Love to Protect Life.